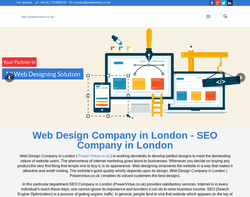 Web design, website development, web marketing and SEO. 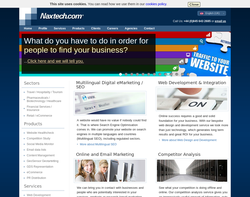 Search engine optimisation, Web development, Hosting, Content management. 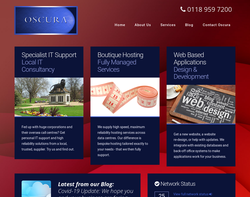 Consultancy, Hosting, Project management, Website development, Content management, Web design, Graphic design. 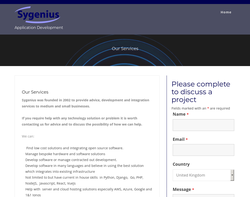 Software development, Website creation, Project management, E-commerce, Databases. 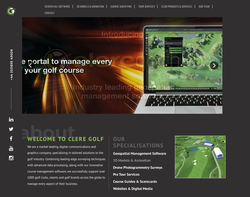 E-learning, Site development, Content management. 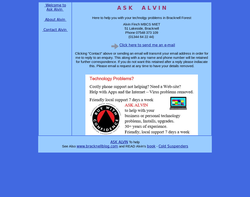 Web design, Web programming, PHP, MySQL, ASP, MSSQL Server, email, hosting, domains. Graphic design, Web design, Advertising. 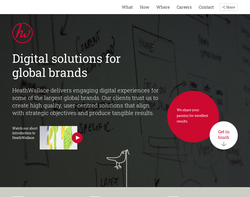 Websites, Consultancy, Design, Marketing, Applications. 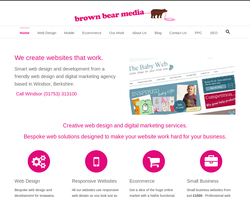 Website design, Search engine optimising, Marketing. Content management, Graphic design. 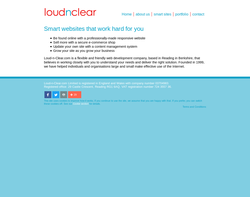 Web design, web development, content management systems and more. 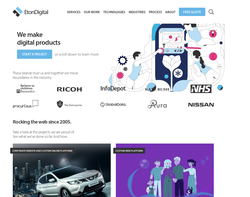 Brand websites, DM campaign landers & microsites, Registration & data capture, Email newsletters, Corporate intranets, Dealer & partner extranets, eCommerce stores, Dealer locators, Knowledge bases and Mapping & Geo-analysis. Whether we deliver a web site, CD-ROM, viral email campaign or web application, the medium we use is only a small part of our service. Before we embark on any project we like to get to know you and your business so that we can advise on how to best utilise your budget and maximise your spend. We're not interested in making a fast buck, we want to cultivate long term relationships with our clients so that we can work pro-actively with you to help build your business. 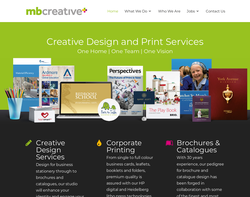 We offer creative custom design of logos, stationery and web-sites. 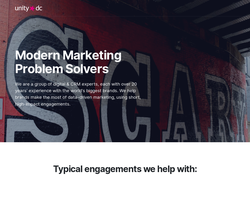 Under our careful hand these powerful marketing tools will brinq a breath of fresh air into your business and make you stand out among the competitors. Web application development, online database application development, business web site design, e-commerce solutions, intranet or extranet development, information management consulting, dedicated web hosting and maintenance, web site content management, newsletter and mailing services and website management service and search engine optimisation. 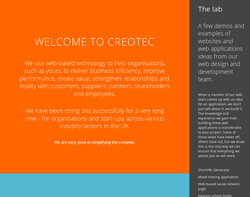 Web design, web development, CMS, e-commerce, search engine optimisation, drupal development and corporate identity. 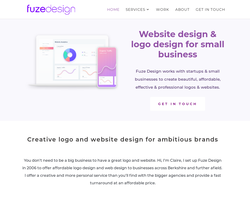 Logo design, stationery design, brochure design, advertising design, menu design, website design, website & e-mail hosting, website maintenance, search engine optimisation (SEO) and print. 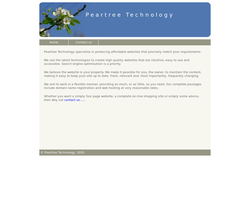 Web site design and web site development. Branding publications, forms, detailed documents, web and electronic publishing. Web site development, web site maintenance, web enabled applications, database development, graphic design, e-commerce, website security, SEO and office networks. Web design, e-commerce web solutions, SMS text messaging, domain registration, web & mail hosting, SEO, advertising, corporate identity, graphic design and print design. Web design, development, web based application, e-commerce, search engine optimisation, creative design, branding and copywriting. 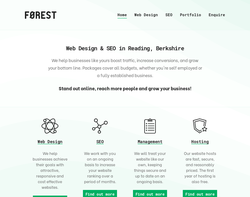 Website design, e-commerce, client support, website promotion and more. Web development, consultancy, marketing, shopping carts, and open source software. 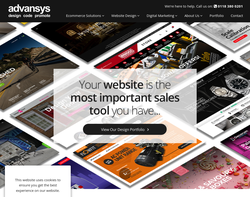 Web design, web development, e-commerce, sales literature, brochures and display advertising. 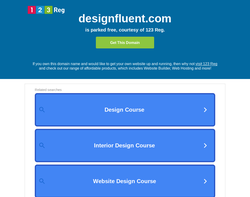 DesignFluent is a web design agency based in Slough Berkshire. 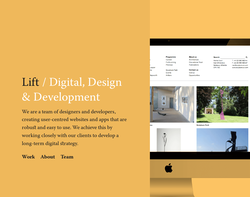 We are a small group of creative digital individuals who aspires to make a difference in the online world by creating effective web designs, fusing it with the latest web development technologies and making it look not just a website design but "The Website Design" your were envisioning. 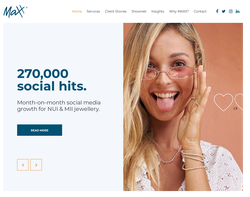 It�s about communication and understanding the goals of the business, we don�t want to be the ordinary web designers or your geek next door; we are here to make sure that you will harness the full potential of the online avenue. We specialize in web design and development, ecommerce online shop design and development, custom web application and build. Web Tag offers: Website design, Web design, Graphic design, Logo design, Unlimited web hosting, Business card design and printing, Flyer design/print, Leaflet design/print, Poster design/print and many other online media based products at a competitive price. Emarketers are a specialist company that specialise in providing web design and website marketing services for business clients UK wide. 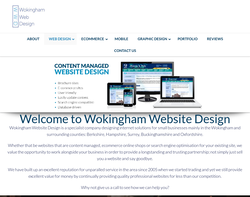 ACL (Amulet Creations) company offer professional web design services includes website design, responsive web design, graphic design, logo design, stationary design, brochure design and other web design services to Wokingham, Berkshire and UK wide business clients. 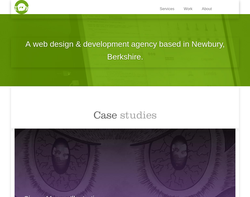 We are Website Designers based in Reading, Berkshire. 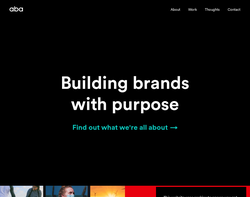 We have around 10 years of experience and a passion for creating bold and beautiful responsive websites that come with built in search engine optimisation. 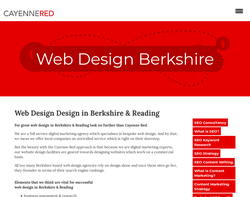 Cayenne Red is a local web design Berkshire agency. 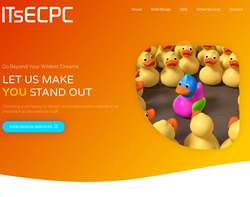 They craft beautifully designed websites which are user experienced focused. Not only does the company create and develop websites but they also offer effective web marketing services. 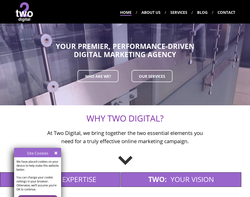 For those who require a full service digital marketing agency then Cayenne Red is a perfect fit. Multi-disciplinary creative consultant. 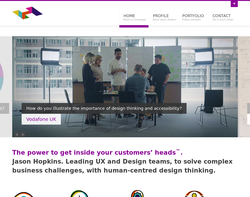 Specialised in website user interface (UI) design and user experience (UX) architecture. 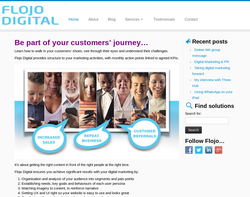 Creating fabulous content that�s key to the success of your business. 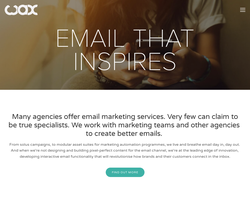 It�s about the stories you tell, not the stuff you make, and talking with people instead of at them Website design that�s easy to navigate and appeals to your target audience Copywriting for websites, social media, search engine optimisation (SEO), blogs, emails, newsletters and press releases. 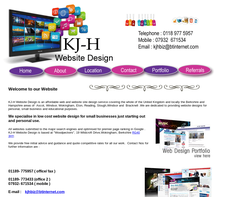 Professional web design services in Maidenhead, Berkshire. 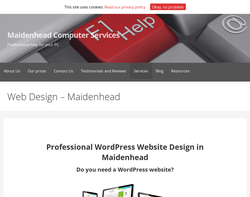 If you want a website for your business that will look great on all devices, will bring you new customers and won't cost the earth then look no further than Maidenhead Computer Services. 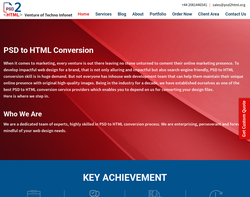 PSD2HTML is one of the leading PSD to HTML conversion service providers that has a number of satisfied clients in UK, USA and India and across the world. 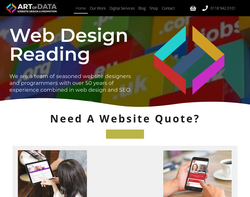 WE WILL BEAT ANY QUOTATION T&C's Apply... Are you looking for a professionally designed website for your new business? Logo designs and Google SEO services are also offered. Call now for a free no obligation consultation. 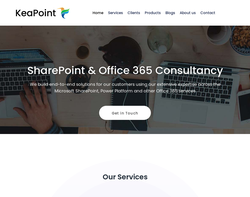 Via phone, face to face, whatsapp call, skype call etc..
We are certified Microsoft SharePoint and Office 365 consultants based in the UK, and provide end-to-end Microsoft SharePoint Consulting Services to companies. 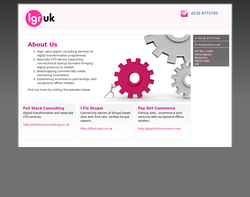 We are specialists in business process automation and employee portal customisation. We also offer a business intelligence aspect to data-driven platforms. 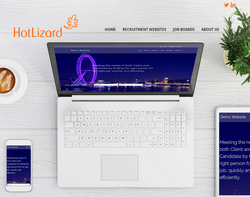 We are web developers and recruitment consultants and we know about recruitment. 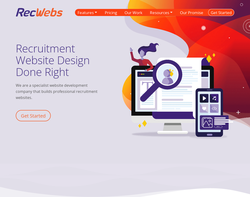 Recruitment websites from recruitment experts.